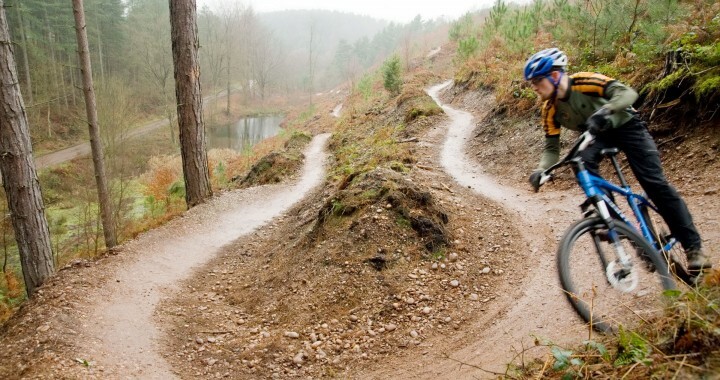 Cannock Chase offers superb tracks, trails and bridleways for mountain bike riders. Springslade Lodge is situated on a Bridleway and is ideal for a refreshment stop when exploring the many trails and tracks of The Chase in Staffordshire. MTB riding on Cannock Chase varies from loose pebble surfaces, grass covered bridleways, forest tracks and fireroads, single track. If you are new to the area Exporer OS map 6 is a good purchase, otherwise just follow the waymarked signs. The Chase is 25sq miles of Pine Forest, Heathland, Woodland, valleys and hills with quiet roads passing through from east to west. Although many other activities use The Chase it is possible to still find very quiet trails to enjoy your ride on. Then return to Springslade Lodge tearooms for snacks, lunch or afternoon tea, there is a bike park and outside garden for your use. Posted in activities and tagged blue route, cannock chase, green route, heart of england way, mountain biking, mtb, mtbcoach, red route, staffordshire.